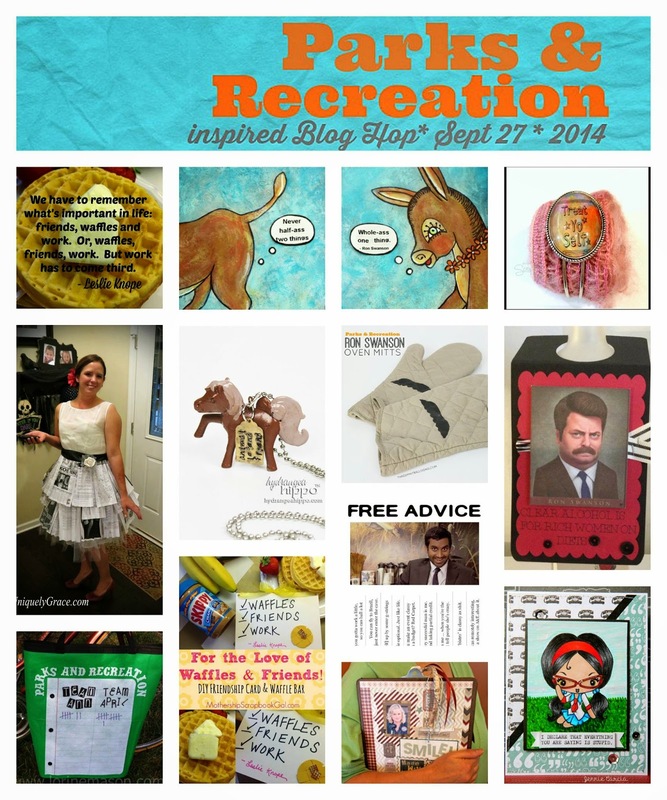 Welcome to the Parks and Recreation EPIC Blog Hop! 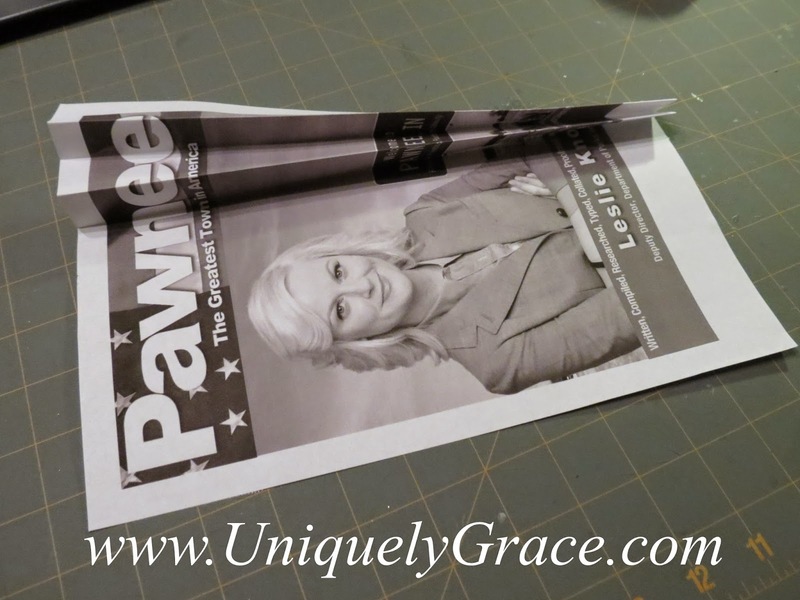 Eight wonderful bloggers have joined together to create and share crafts inspired by the NBC show, Parks and Recreation, starring Amy Poehler. This fall the show enters it's 7th and final season! We'll miss Parks and Rec but the show will live on in "craft"! 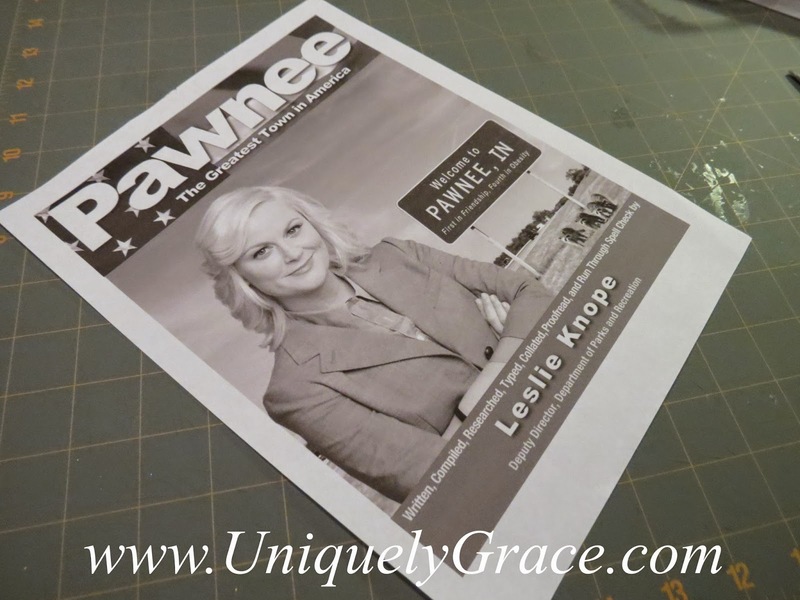 "Knope we Can!" or "Yes, we can't not." LOVE ME? PIN ME, SHARE ME! 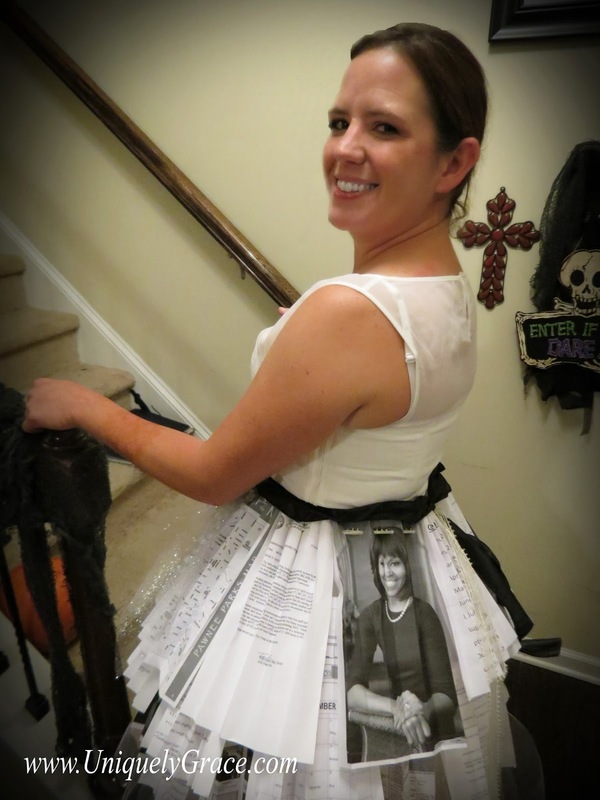 Inspired by the wedding dress alteration designed by the character of Ann Perkins. 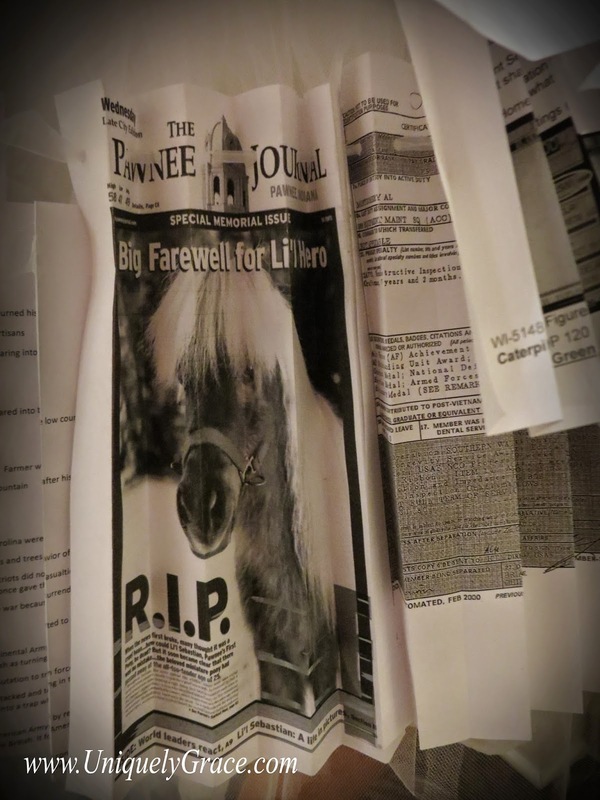 It is a compilation of all of Leslie Knope's adventures with the Parks Department of Pawnee. 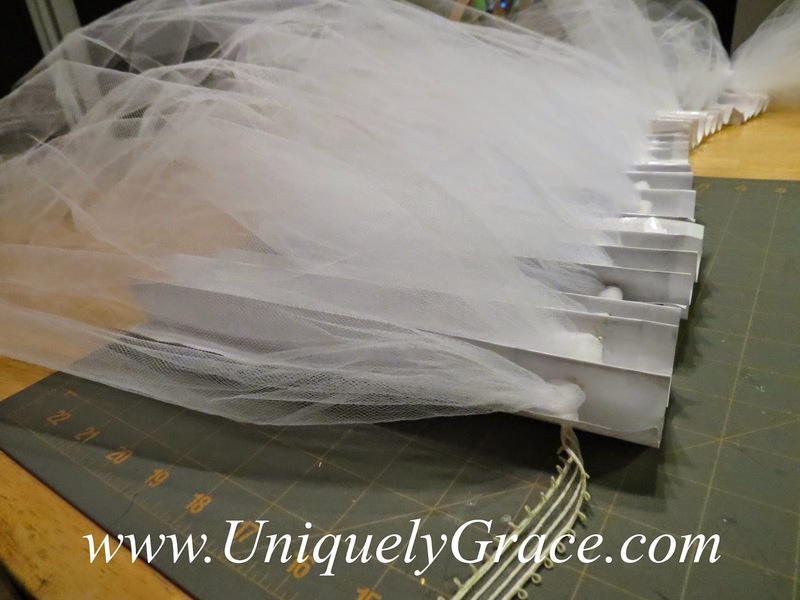 My project I will be sharing with you today is one near and dear to my heart as crafty couture is one of my favorite things to design. 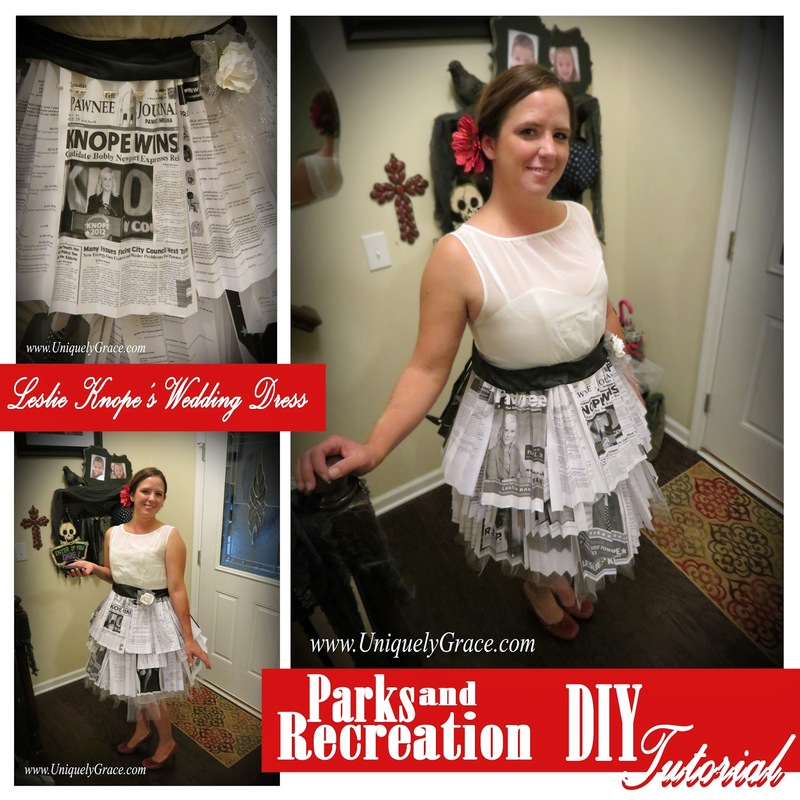 The LESLIE KNOPE WEDDING DRESS I crafted is bound to inspire any Knope fan to create this dress for the up coming holiday, Halloween. Before we get started here is a fun video of the creation of this project. 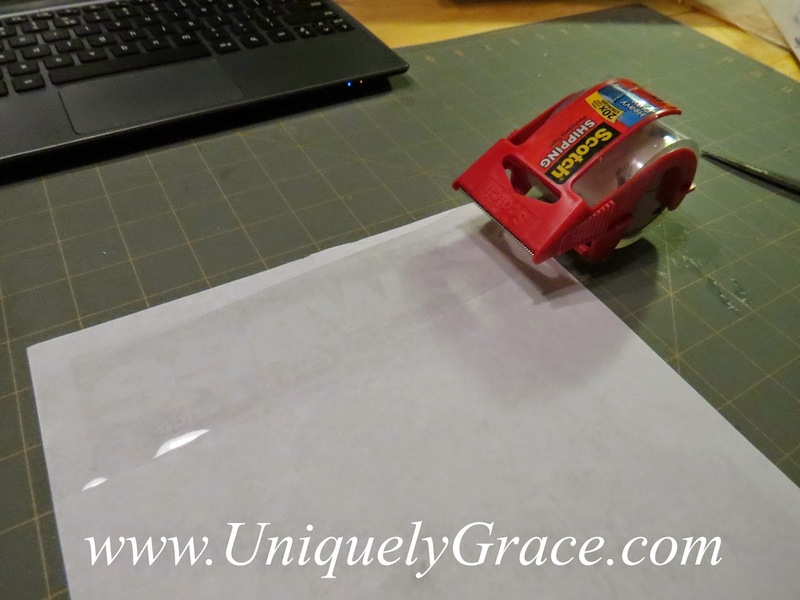 Step 2 - Run a piece of 2" clear packing tape along the top back of the page, 1/2" from the top. 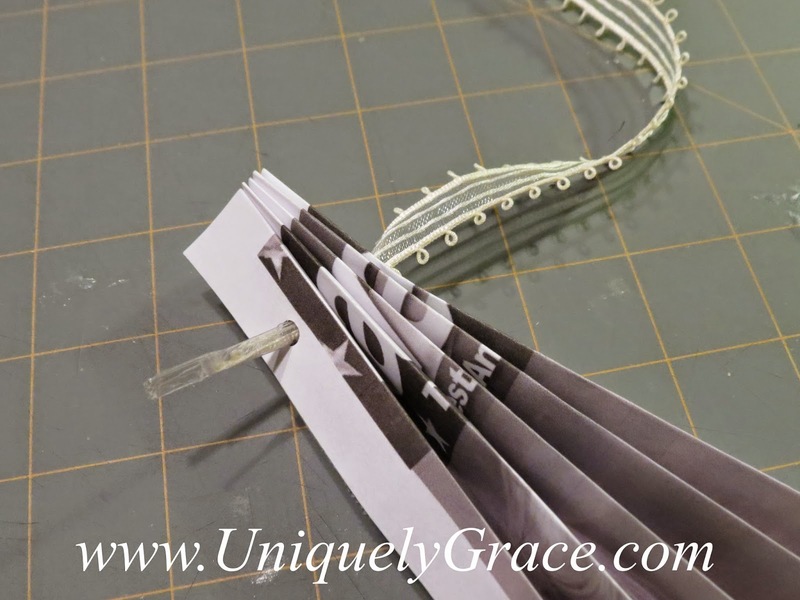 Step 3 - Fold pages in an accordion fold style. 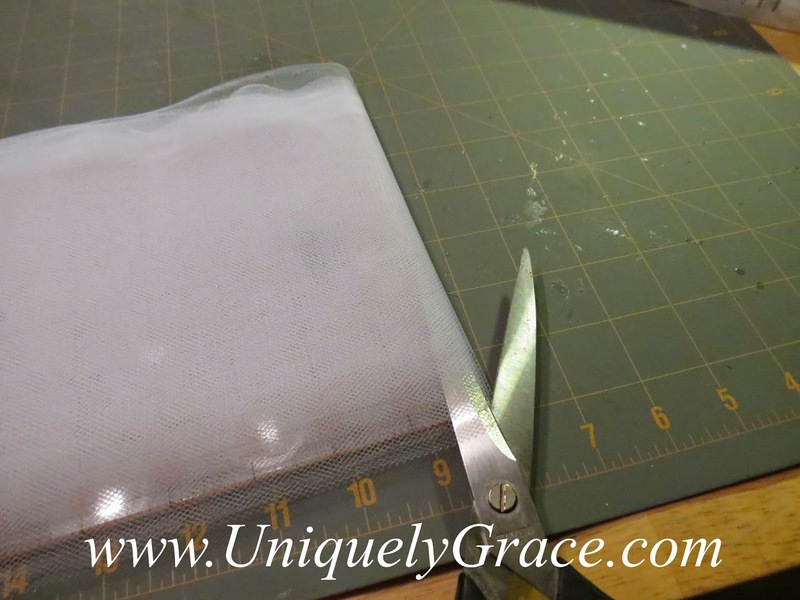 Step 4 - Strongly crease the folds by rubbing it along the table edge. 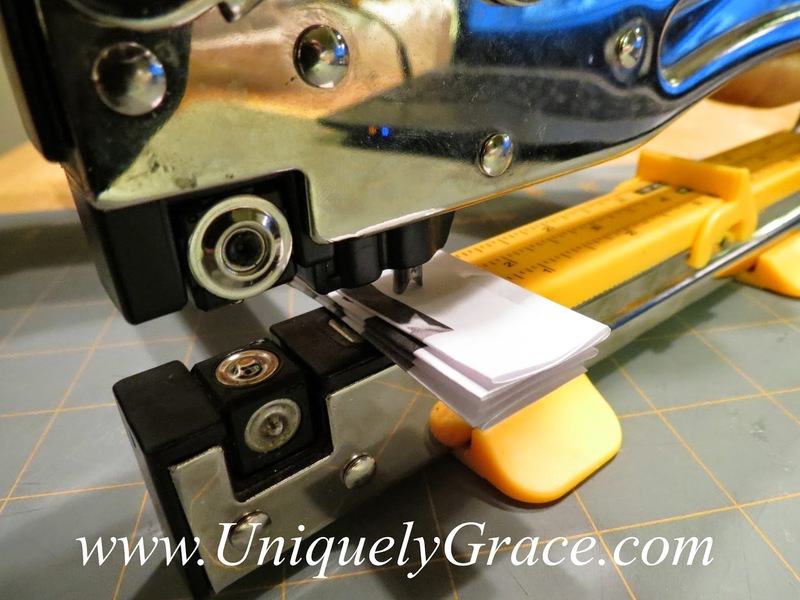 Punch a hole through all the folds of your page about 1"-1 1/4" from the top of the page. 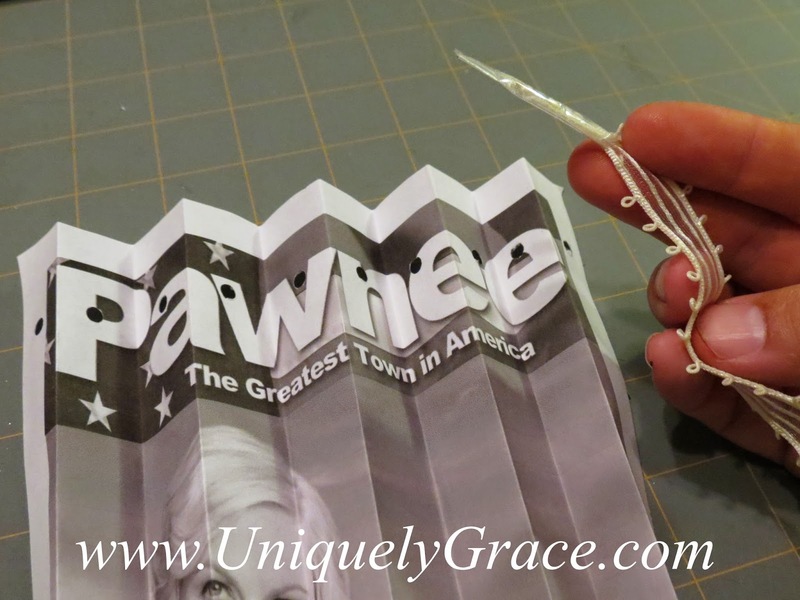 Step 6 - Take your ribbon and wrap it around your waist twice to measure it and cut. Match it up and cut a second piece of ribbon to measure and cut. You may trim it up later after your done. 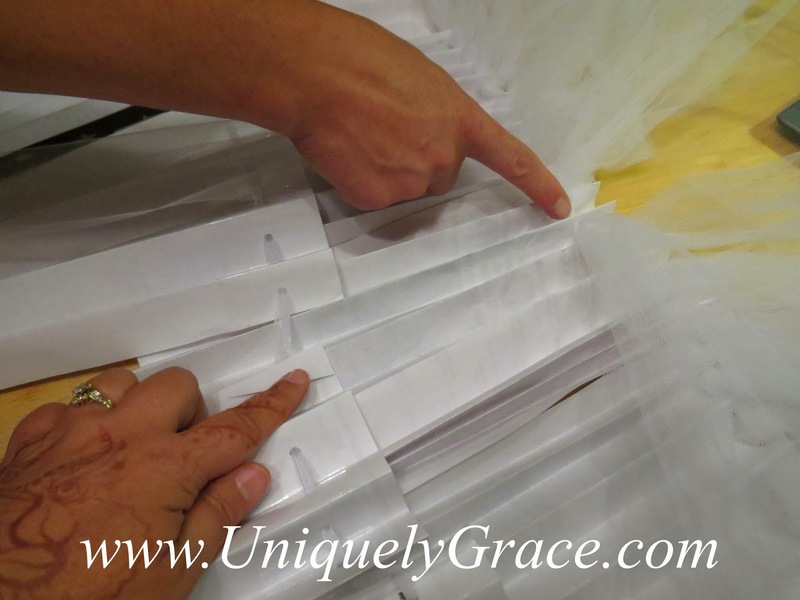 Step 7 - Layout your papers in order of how they will be threaded on the ribbon. Remember you will have two rows of pages. 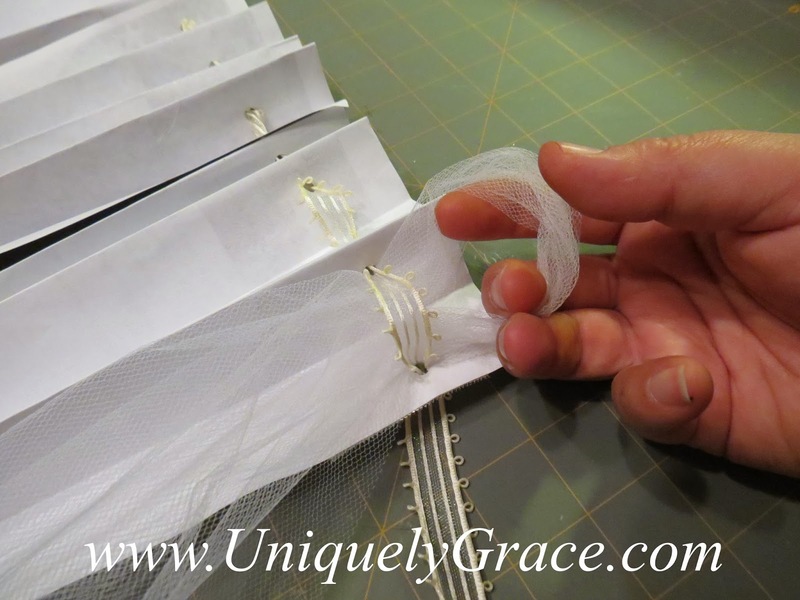 Step 8 - Thread your ribbon through the holes of each of your pages from one side to the other for both rows, use one of your cut ribbons for each row. Step 9 - Spread out the accordion folds. 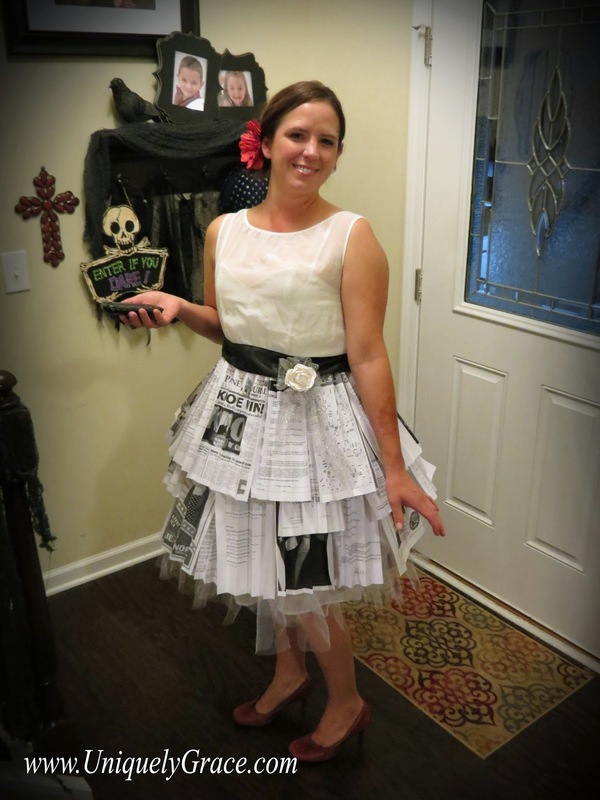 And put your row of pages face down. 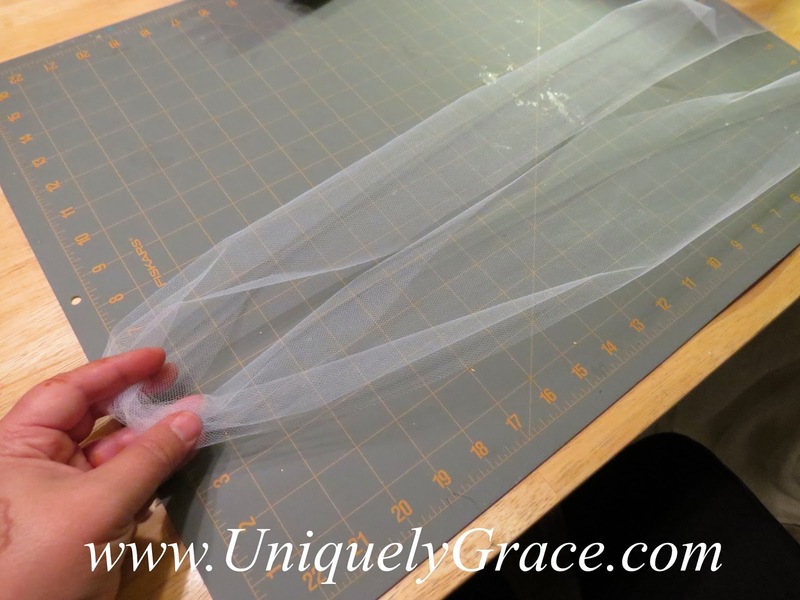 Step 10 - Cut your tulle in 48" strips. 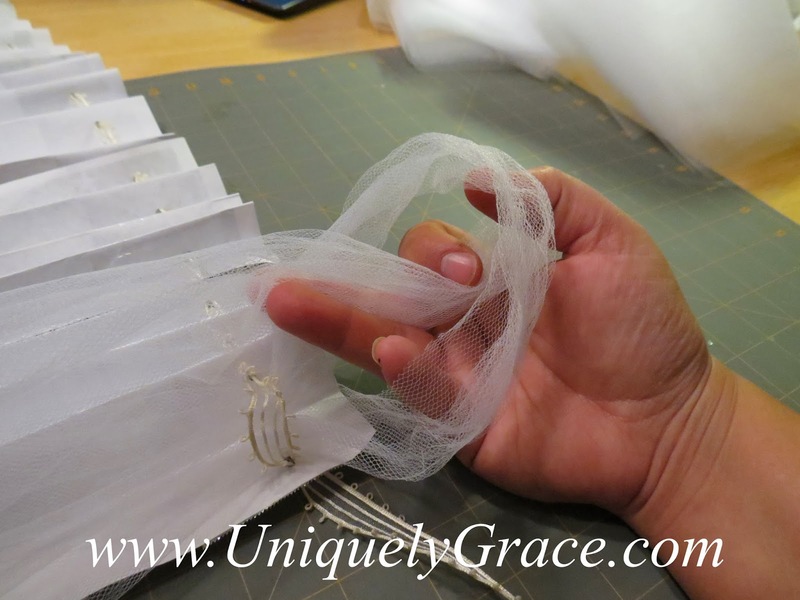 You will need one piece of tulle for each valley fold of your papers in your top row. 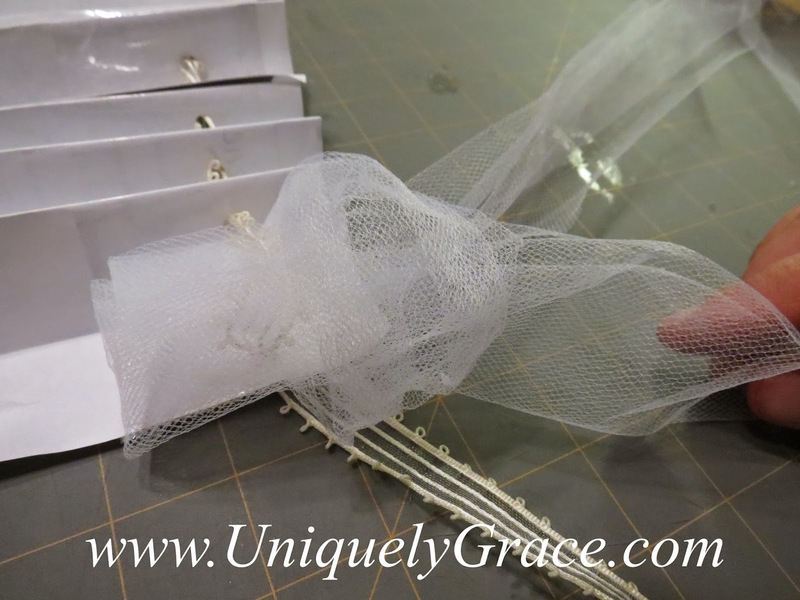 Step 11 - Fold your tulle in half and follow these images to complete the knot on the top row of pages. 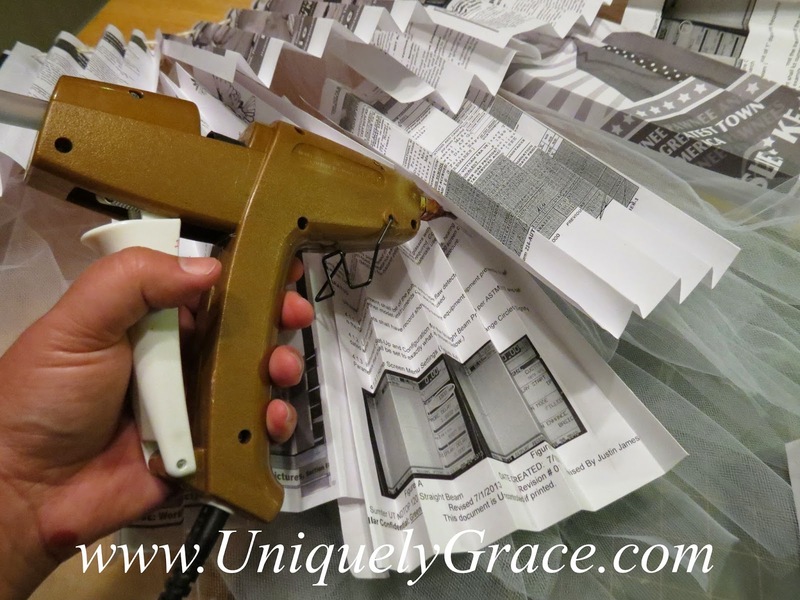 Take the looped end and pull it under the ribbon on the back side of the paper. Once it is tight make sure it lays down this way, that is the way it will hang. The top of the paper is on the right. 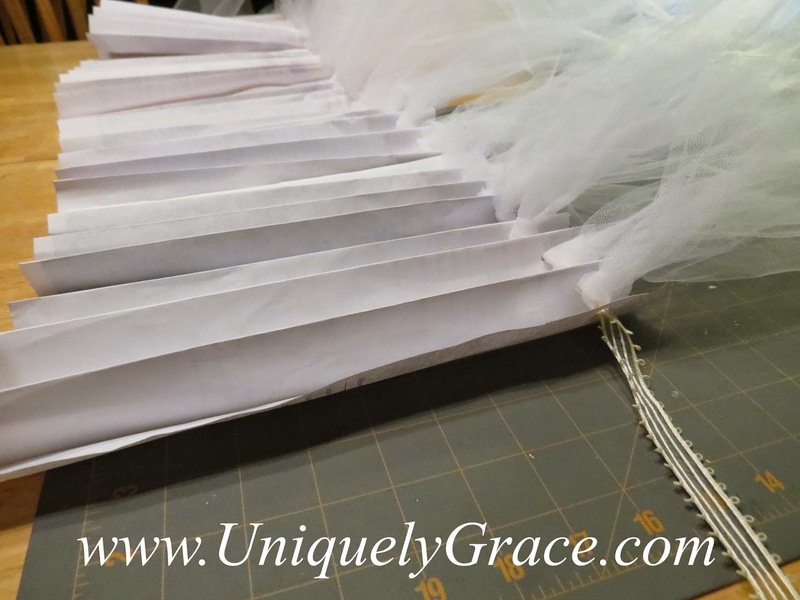 Step 12 - Take your top row of pages and tulle, lay them face down on your work surface and then flip the tulle over to expose the back side of the pages. 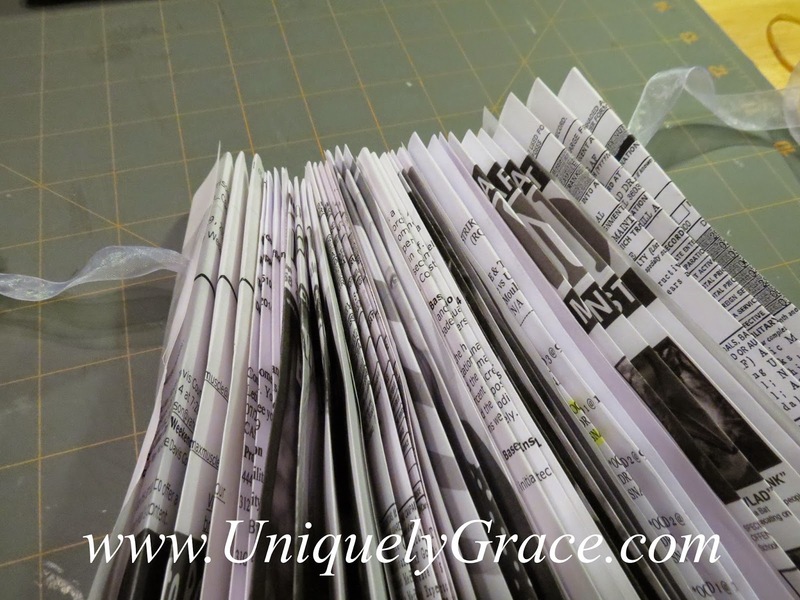 Step 13 - Line up your second (bottom) row of pages about 1 1/2" over lapping the bottom of the top row. 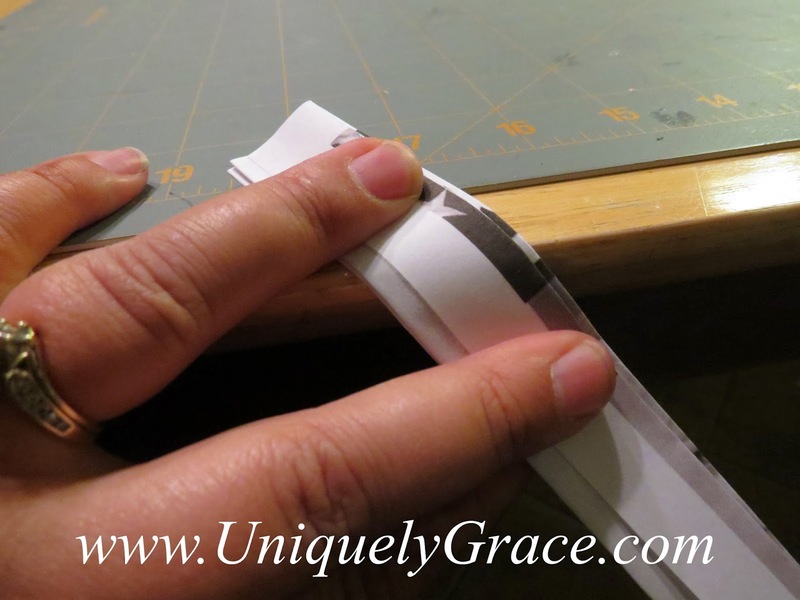 Step 14 - Find your center of your rows and , valley of the accordion fold. 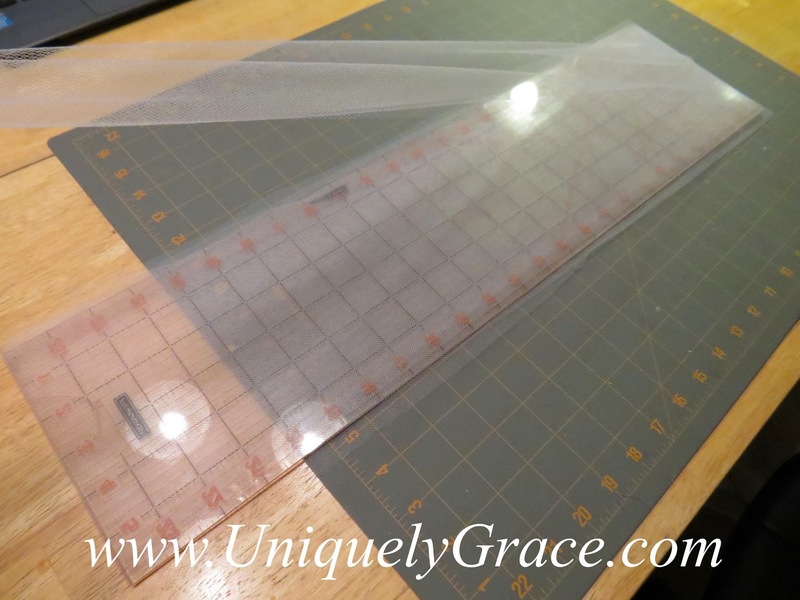 Repeat for all pieces of tulle checking your overlap frequently and work from the center out. This will hold the second row in place, hanging it from the first row. 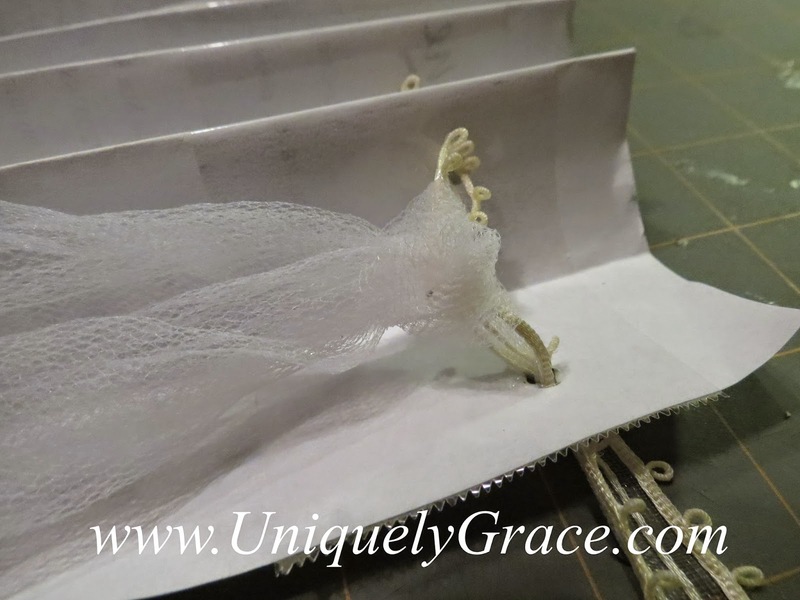 Take the two tulle tails from the top row and feed one of them under the ribbon on the bottom row's center. 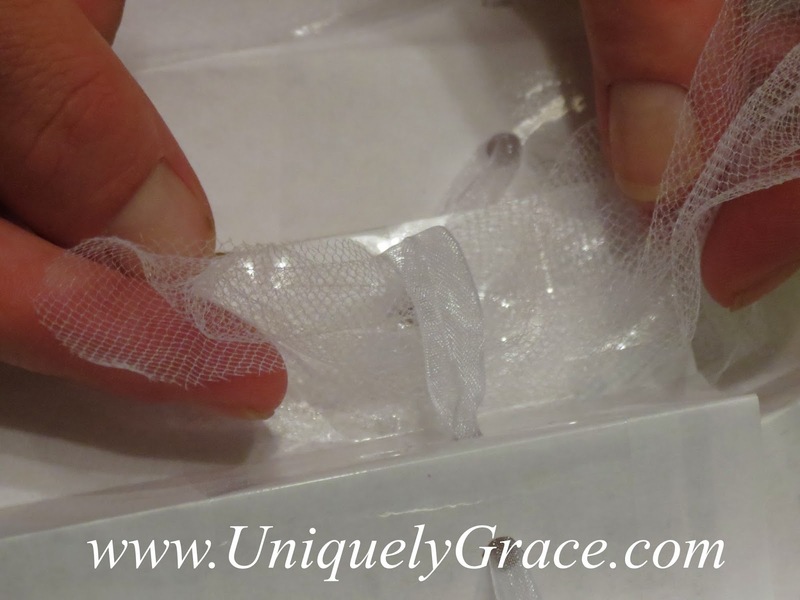 Take the second tulle tail and tie it in a knot with the first tail just under the ribbon. 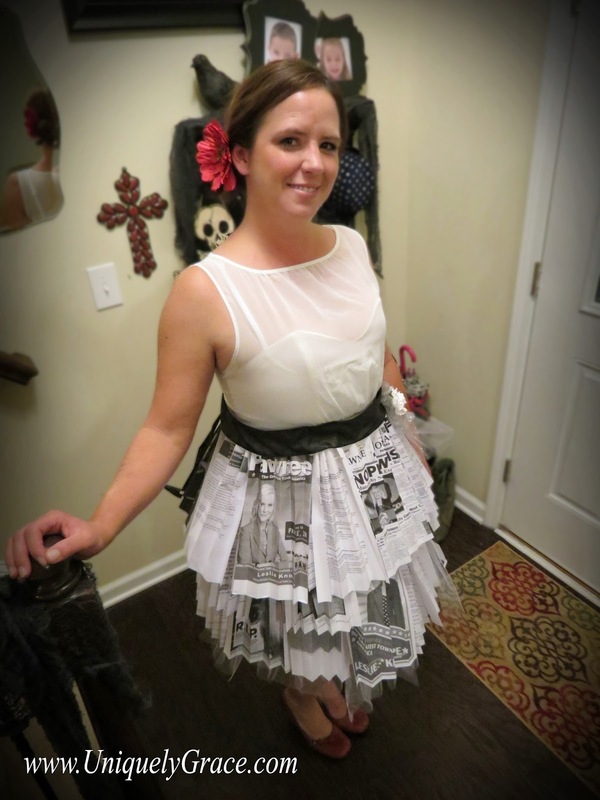 Step 15 - Try on your skirt!!!! Woo Hoo!!! Check it out! 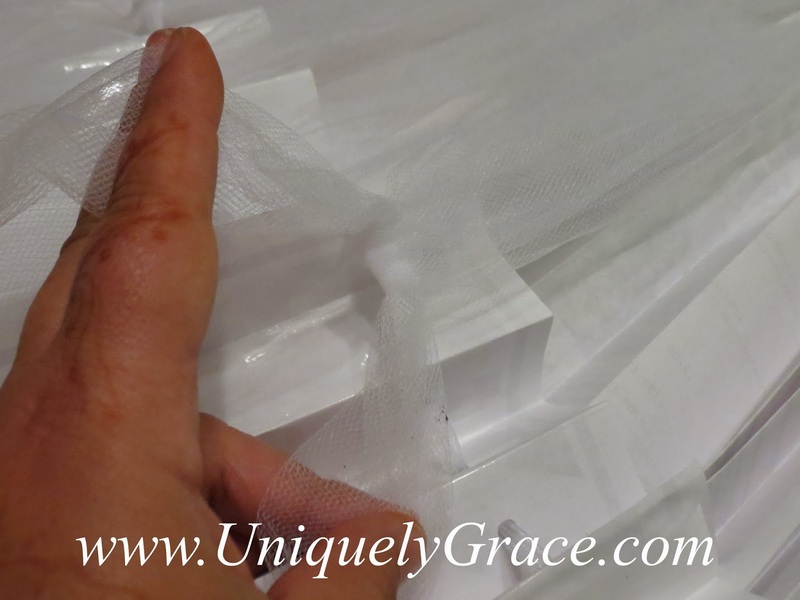 If you have gaps where you see the tulle between the pages that is okay. 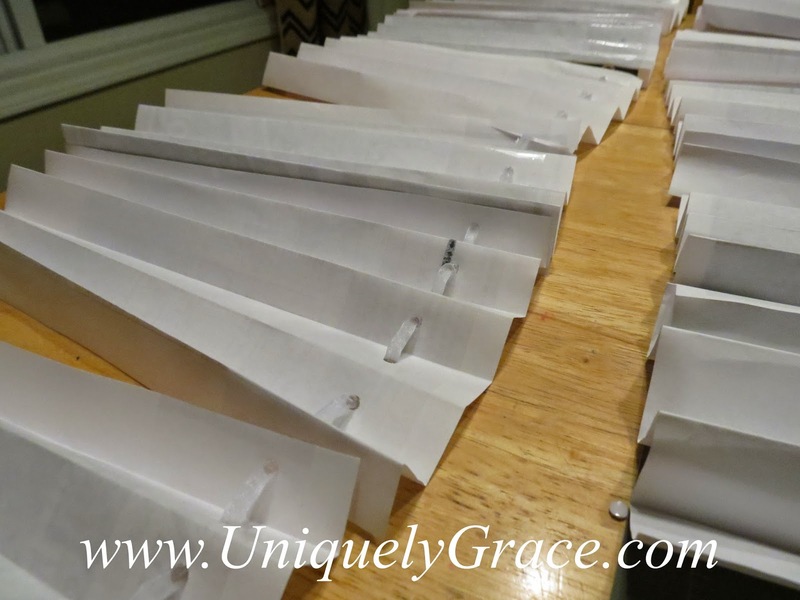 Take extra pages that are accordion folded and glue them to the back sides of the pages you have been working with in the rows. 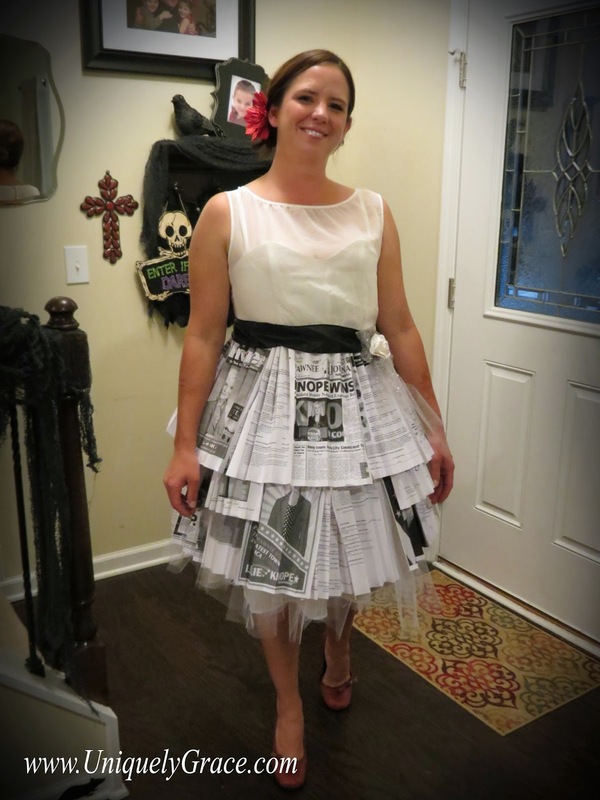 This will cover the tulle and add more memorabilia of Leslie's adventures! 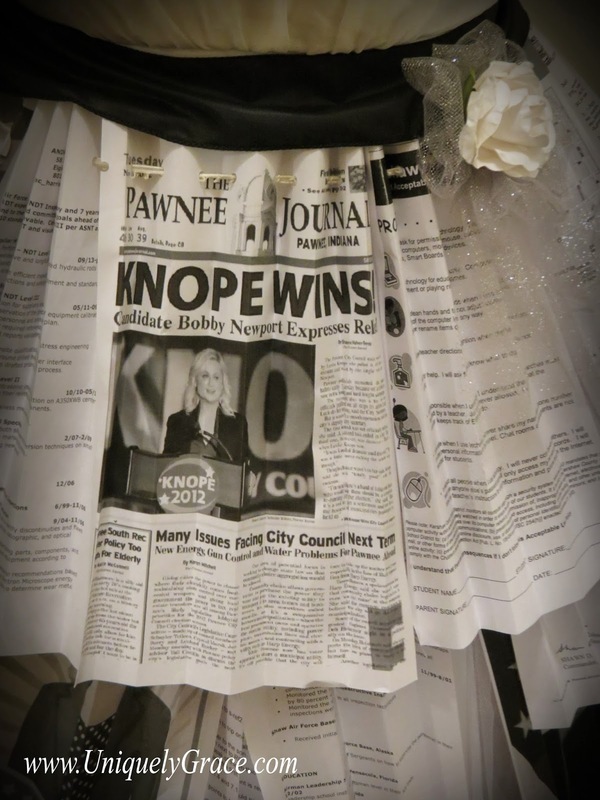 Now flaunt your stuff at the next Halloween party as the beautiful yet quirky Leslie Knope! 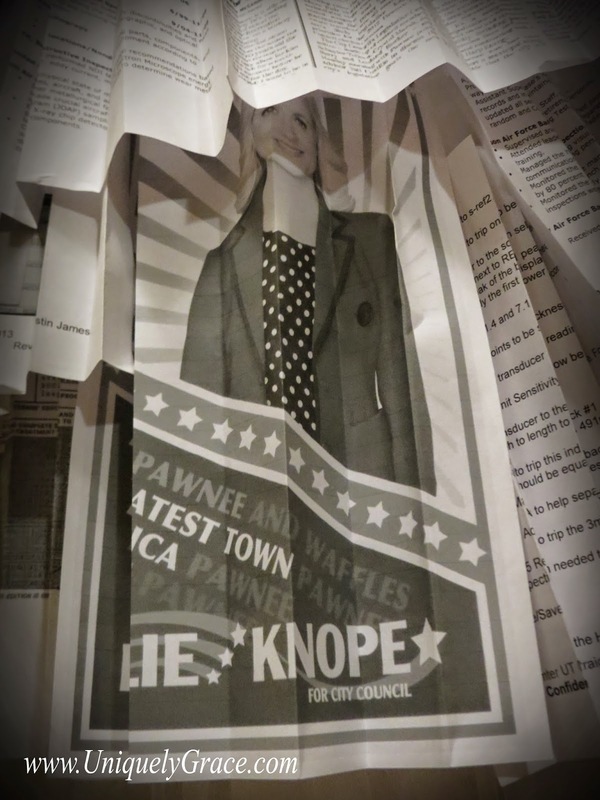 Now, head on over to the other 10 blogs in the hop to see what Parks & Rec inspired crafts they have created! For more Parks and Rec inspiration, follow our Pinterest board. Whew, now that was a long post! Thank you all for hopping along with us!